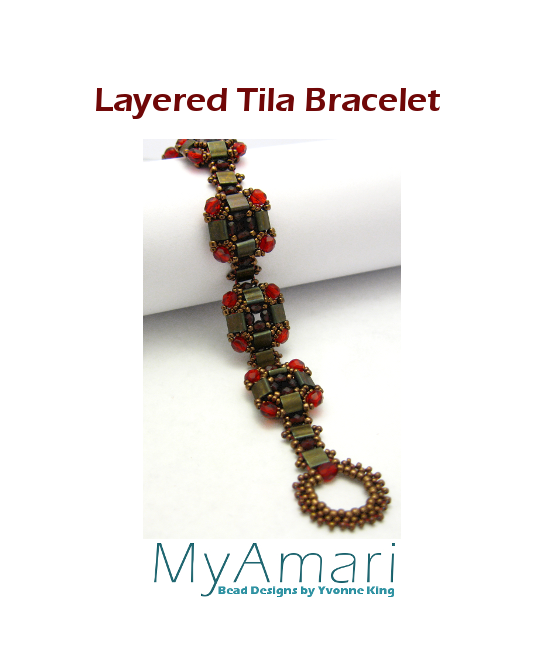 Create layered Tila squares using net weave, peyote and ladder stitch. Step by step photos with instructions and a materials list are included in this free pattern. 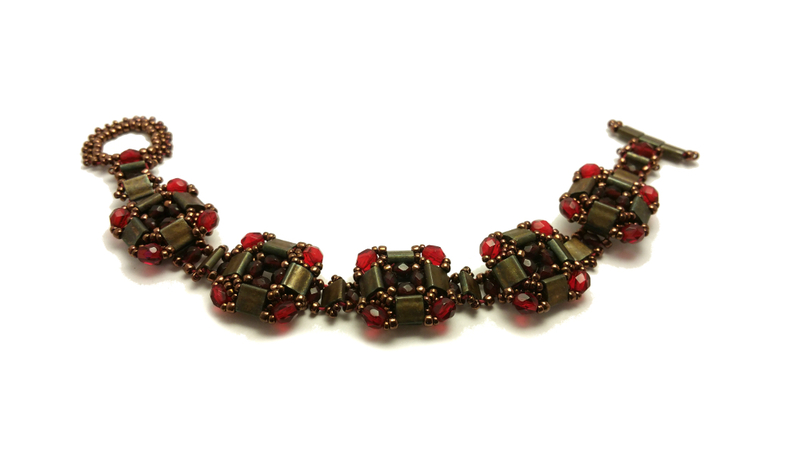 Basic bead weaving skills are necessary. Feel free to sell what you create; please just list me as the designer. Thank you!